Leicester based Shared Dayaram Patel has been handed an 11 year bankruptcy restriction from for making false representations to obtain loan funds of £390,000. This follows an investigation by the Insolvency Service, which found representations were made to family and friends to get money, which was used for online spread betting and to fund his lifestyle. Mr Patel entered into a 11 year bankruptcy restrictions’ undertaking on 18 December 2017, by the restrictions set out in insolvency law that a bankrupt is subject to until they are discharged from bankruptcy (normally 12 months) until 2028. Between 2013 and 2017, Mr Patel made false representations to family and friends to obtain loan funds of £390,000, saying that the funds were to be used as a venture investment. He used £238,451 of these funds to finance online spread betting, with the majority of the remaining funds being used to fund Mr Patel’s lifestyle. Mr Patel’s actions directly resulted in him becoming insolvent with total liabilities of £403,753. Mr Patel was declared bankrupt on 26 July 2017 with a deficiency of £386,238. Mr Patel was interviewed at the Official Receiver’s office at which time he stated that around December 2012 he began online spread betting and initially used his savings to fund this. However once his money ran out he obtained funds from family and friends and used the money he received to continue gambling. The loans were covered by formal agreements which stated that Mr Patel would hold the investment funds for the duration of 12 months during which time the investor would not be able to withdraw the capital invested. Mr Patel advised family and friends that the funds were to be used as a venture investment but he was in fact using the funds to finance his online spread betting and, from June 2015 onwards, to fund his living expenses with a very small amount being used to repay a couple of the lenders. In January 2017 when all the money had been exhausted he ceased gambling and sought advice regarding his financial situation following which in July 2017 he made his own application for bankruptcy. 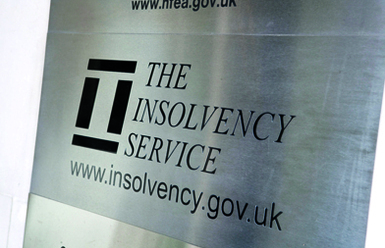 Commenting on the bankruptcy restriction, Gerard O’Hare, an Official Receiver at the Insolvency Service said: “Where a bankrupt has taken undue risks with creditors’ money, he should not expect to do so without repercussions, particularly when others suffer financial loss as a result.